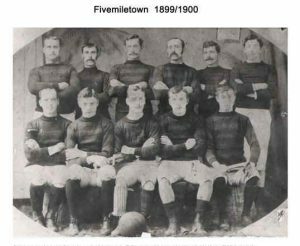 For many years we have been under the assumption that Fivemiletown Football Club was first formed in 1898 but recent documents have shown that there was a Fivemiletown Football Club in early 1888 some 10 earlier. This means the club, in 2018, will be celebrating 130 years quite an achievement for a small club. 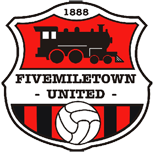 Making Fivemiletown Football Club one of the oldest in Northern Ireland and the only sports club still proudly carrying the name. The club currently has three senior teams with the first’s playing in the Mid Ulster intermediate A, which is a very good standard of football, the other two teams both play in the Fermanagh & Western league. We also have several youth teams playing regular league football from under 11s up to under 18s, with the younger ones, under 7s and under 9s, taking part in mini soccer blitz on a regular basis. Our newly formed Youth Academy runs for 26 weeks of the year and has approximately 180 registered children from P1 right up to 3rd year, run by IFA qualified coaches; we regularly attract 80+ at each session.